In May 2016, Forsslund Systems delivered an updated Kobra simulator to University of Erlangen in Germany. Interesting enough, at this university it is the faculty who has to pitch new purchases to the students. This means that it is the students who decide what new teaching equipment the school will buy, and they voted for the Kobra simulator. Erlangen thereby became the first city in Germany to have the oral surgery simulator. For more information about this, please contact CEO Jonas Forsslund. In june 2011 Riga Stradins University (RSU) announced that they were building an all-new Medical Education Technology Centre, one of the first intellectual innovation hubs in medicine and healthcare in the Baltics. The ambition of RSU is to offer local and international medical and healthcare students the opportunity to use the advantages of advanced technological features throughout their study period. The centre is going to be equipped with up-to-date simulators and phantoms to provide high-quality programmes for international rehabilitation, medical, nursery and public health students. In line with this ambition Riga Stradins University called for open tenders in July 2012 to get simulators for the Centre. One of the calls was for Virtual Oral, Maxillo-Facial simulators. In November 2012 Forsslund Systems was announced as the winner of the open competition. In January 2013 Forsslund Systems delivered four surgery simulators to the Medical Education Technology Centre at RSU. January 9-13 2013 the equipment was delivered by Ebba Kierkegaard, Martin Flodin and Hans Forsslund. During the days in Riga Hans Forsslund gave an open lecture about the system and hands-on-training for all the teachers at the Oral and Maxillo-Facial Department in Riga. Forsslund Systems created two new patient cases for the Riga delivery, based on CT-scans chosen by RSU. 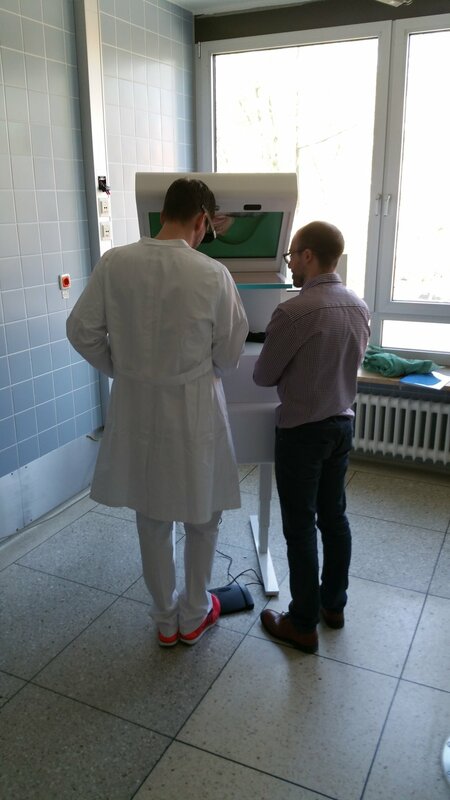 The teachers of Riga Stradins University have been satisfied with the Kobra and ordered new patient cases from Forsslund Systems during 2014. The cases were delivered to Riga in August 2014.